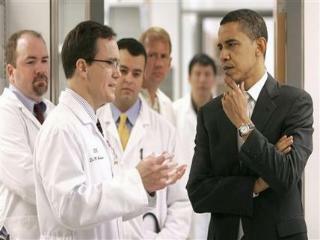 Pollster and author George Barna posted a thought-provoking article this morning on the health care reform debate going on in the U.S. He takes a look at how Americans want to address heath care and how Jesus dealt with the sick people he encountered. First, according to surveys, the vast majority of Americans think health care deficiencies should be solved by the government more than any other entity or group of people. Two-thirds of adults look to the government to solve issues related to poverty – including health care deficiencies. Just one out of every five adults believes that solving poverty is an individual duty, and a mere one out of 25 people assigns that task to non-profit organizations, and another one in 25 assigns it to churches. Second, Americans help those who need health care, but only at arms length. the most common responses are for people to give money, food, and clothing to someone else to get the job done. In contrast, the most personal responses are the least common. Relatively few Americans talk directly with the needy, tutor them, build homes for them, visit them, befriend them, or engage in other types of personal activities to address the issue. Barna concludes that the predominant attitude in America towards helping those without adequate health care is “it’s not my fault and it’s not my job, so let the paid professionals deal with it,” oh, and don’t raise my taxes to do it. Barna then cites 7 principals that underlie Jesus’ health care strategy as found in the Bible. Jesus healed people because He believed that good health matters. Jesus invested Himself in their healing because He loved and cared for people. Jesus healed everyone who presented a medical need because He saw no reason to screen some out as unqualified. Jesus healed every kind of illness He encountered. Jesus pursued them because He saw Himself as a servant. Jesus allowed them to disrupt His schedule because He realized that people’s pain and suffering was their top focus in life. Jesus expected His closest followers to heal others. 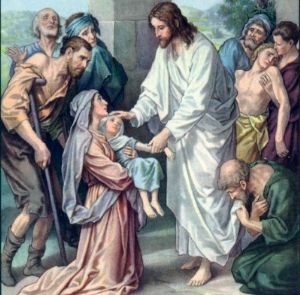 Jesus personally attended to the health care needs of the poor and disenfranchised and he called on his followers to do the same. There’s nothing in scripture that says government programs can’t be part of the solution, but Jesus never passed the buck to the government when sick people were standing in front of him. But I also know that I have the same 24 hours in a day that Jesus had and a lot more financial resources than Jesus. So, what’s your response to those with insufficient health care? Who do you think should be helping them? If you think it’s primarily the government’s responsibility, how do you square that with how Jesus’ approach? 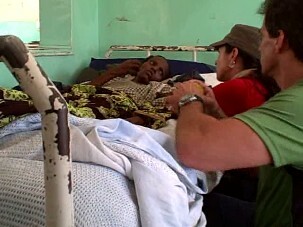 And if you oppose a government solution, what are you doing to help those with health needs?